Did you feel like your heart stopped when the OU Sooners lost their first home game to a top ranked team under Coach Bob Stoops in the 24-19 loss to Kansas State? For Sooner fans, it had been a while since their team lost at home to another ranked team (since 1998 to be exact when Colorado beat the Sooners 27 to 25). 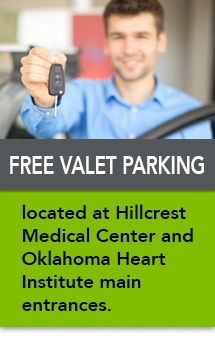 The first rehabilitation hospital in Tulsa opened its doors April 23, 1972 on the campus of Hillcrest Medical Center. Tulsa Rehabilitation Center, as it was called then, was the first hospital in the region dedicated to inpatient and outpatient rehabilitation of patients who had suffered from stroke, brain injuries and other debilitating conditions and illnesses. Today the highly anticipated iPhone 5 officially goes on sale. Fans of the popular devices have been waiting outside stores since the beginning of the week, according to many reports across the country. While Apple is calling the iPhone 5 "The biggest thing to happen to iPhone since iPhone", it is clear we have an addicition to smartphones regardless of if we have the latest and greatest upgrade or not, according to recent studies.